A sociology program written exclusively for high school students! Sociology and You is written by successful authors with extensive experience in the field of sociology. 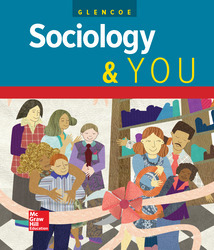 Meet American Sociological Association standards for the teaching of sociology in high school with this comprehensive program.